…a great email to receive this morning! Best of all she won the Fashion award for the Sydney races. Tamara ordered the gold sequin cocktail hat! 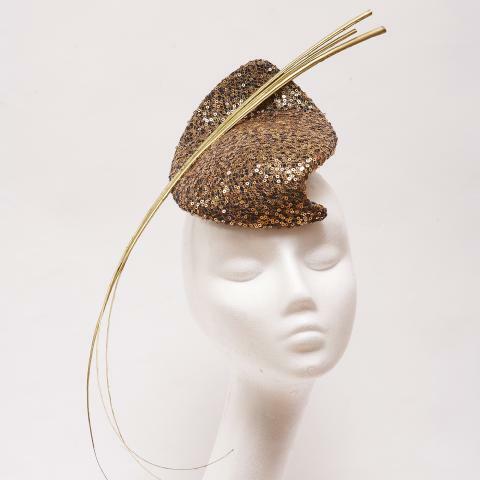 The coolest cheekiest piece of millinery from the Suzannah Boutique…. online,…and sent directly to OZ! and here was her review! I just wanted to say a big THANK YOU for my head piece. I got the Gold, Emily London headpiece. I won a Fashions award wearing this. EVERYONE commented on the head piece & loved it!!! I’m sure you’ll have a few more orders from Australia come through! If you have any other pieces that i could look at that would be great!.. Thanks again & again for the promptness! I received this within 3 business days, amazing!